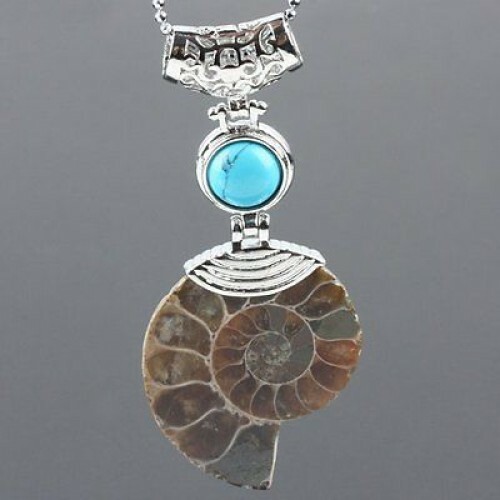 Turquoise Fossil Pedant from Zoom’s Biggest Fan Jewelry Collection. You’ll love this Genuine Ammonite Fossil & Turquoise Gemstone Pendant. 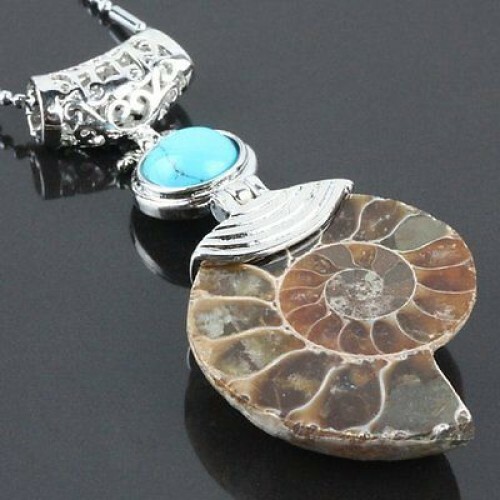 Each Ammonite Fossil is a genuine natural stone, so the coloring will be different for each necklace. 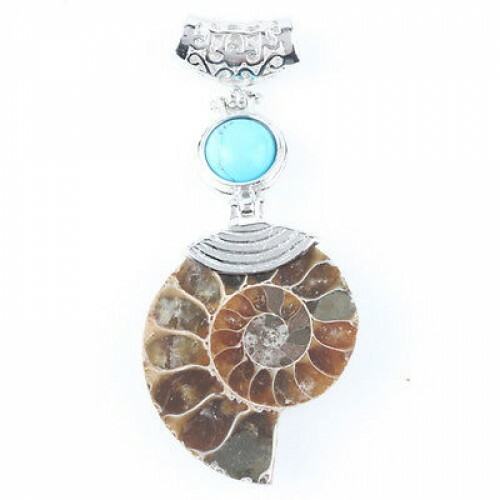 This striking pendant is perfect to wear with our 18” leather choker, or wear it with your favorite necklace.